My aunt was a very good baker and I always looked forward to her visit when she would bring us treats that she baked. 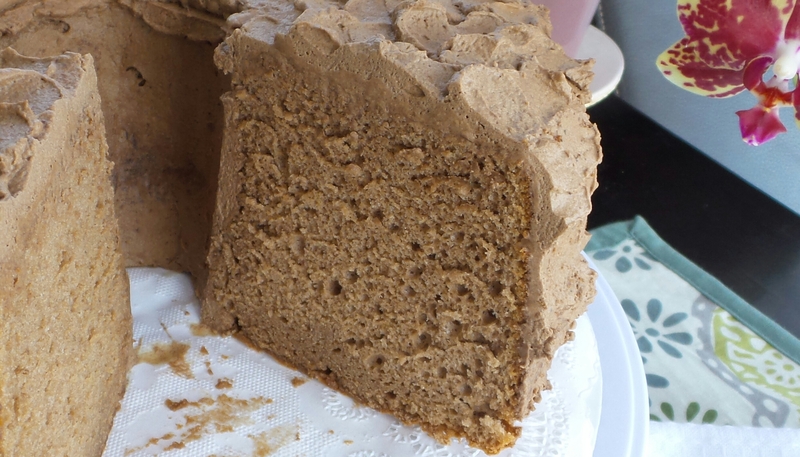 My favorite treat is her version of the chocolate chiffon cake. 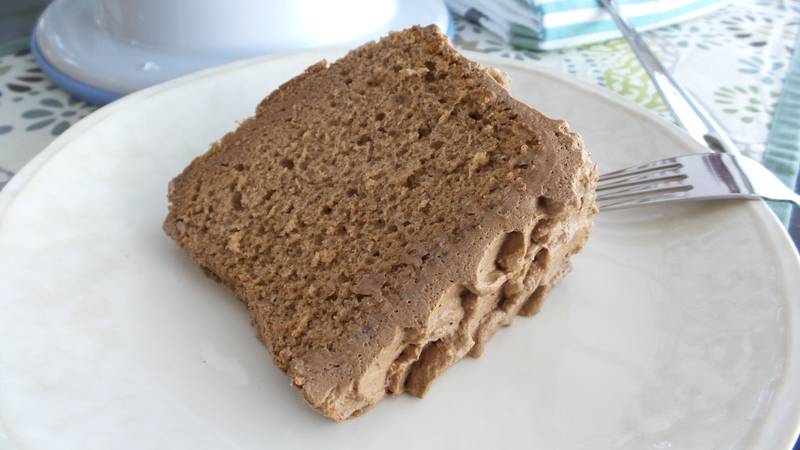 They were moist, spongy, and always delicately frosted with chocolate whipped cream. After her passing, I received a copy of her recipe that I carefully kept in my recipe folder. 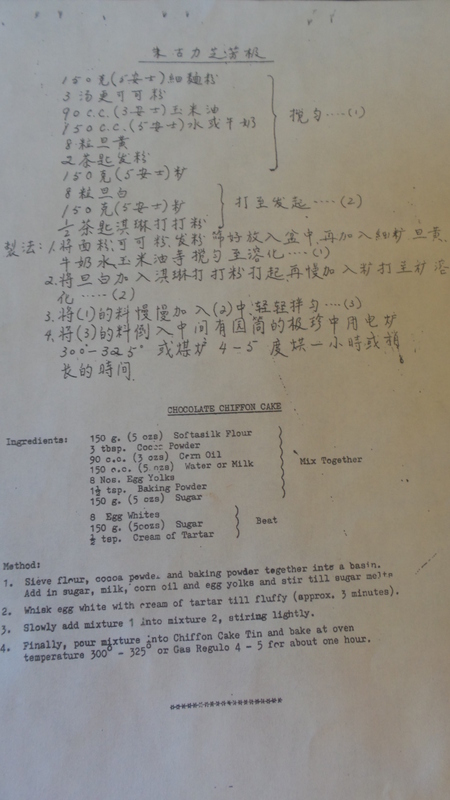 I decided it is time to relive those memories and keep an electronic copy of this treasured recipe. 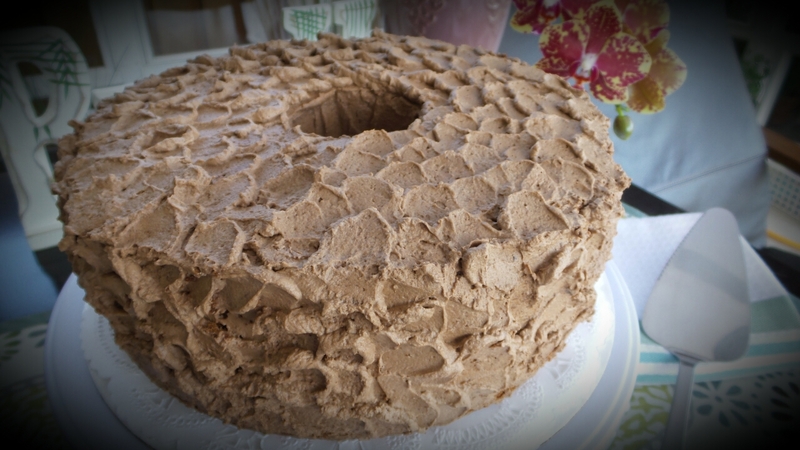 I do not have the skills to frost the cake as well as she did, but the texture and taste turned out perfect! 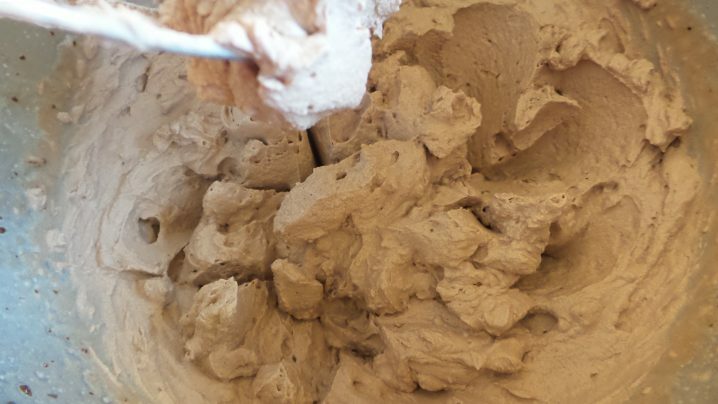 Sieve flour, cocoa powder, and baking powder together into a basin. Add sugar, milk, canola oil, egg yolk until sugar melts. I did not beat the egg yolk mixture, instead, I ran the mixture through a sieve. 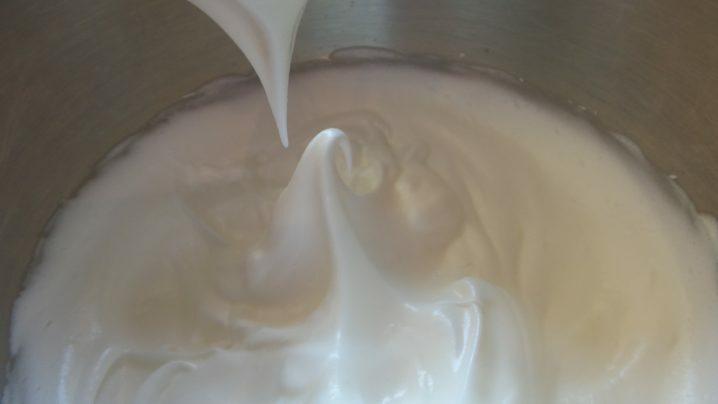 Beat egg white with cream of tartar in a standing mixture for 1 minute. Add in 5 oz sugar and continue to beat until stiff peaks form. Fold egg yolk mixture into the egg whites. 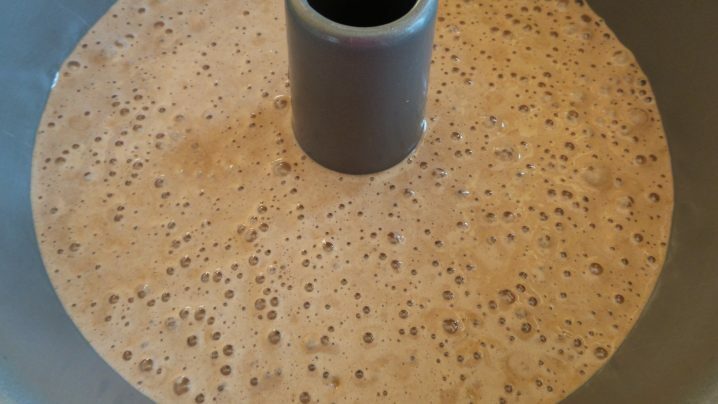 Pour mixture into tube pan. Bake in 375 degrees F oven for 15 minutes. Reduce temperature to 325 degrees F and bake for another 45 minutes until wooden stick inserted into the cake comes out clean. Turn the pan up-side-down to cool. Chill the mixing bowl and whisk in the freezer for 20 minutes. 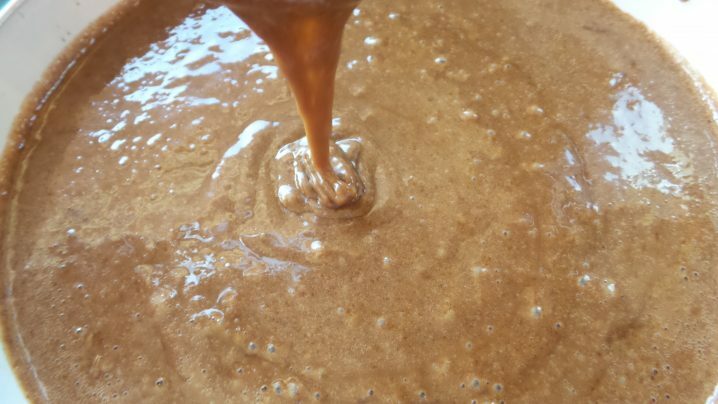 Mix dry ingredients with 1/2 cup whipping cream to dissolve the cocoa and espresso powder. Stir in the remaining whipped cream until well combined. Beat at high speed until stiff peaks form. 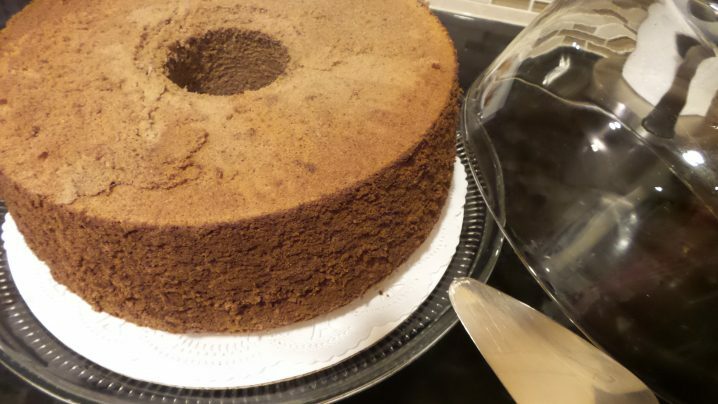 Run an offset spatula around the inner and outer ring of the cake. Remove the tube with the cake from the pan and run the offset spatula through the base of the cake. Invert a plate over the tube and carefully flip the tube to transfer the cake onto the plate. 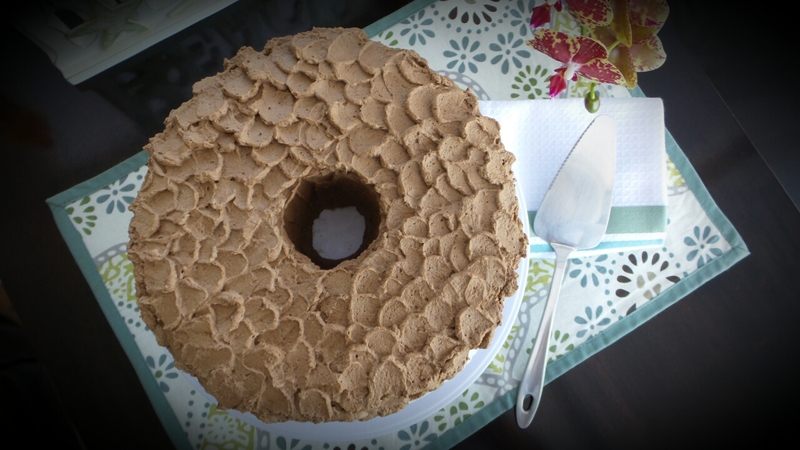 Line a cake circle with doily, and transfer the cake over to the doily. Apply frosting with an offset spatula. Chill in the refrigerator until ready to serve.